Central Gardens is located in the heart of Hawthorn and is popular with local residents, students and Hawthorn Community House visitors. These gardens have an outstanding collection of majestic, mature trees surrounded by sweeping lawns. These garden 'rooms' offer a range of photo opportunities for events. Meandering paths, lush foliage plants and a tropical-style border are highlights of this wonderful garden. The gardens were opened in November 1900 and designed in a formal period style with many annual and formal garden beds and water elements. In the 1930s, the gardens began to decline. Many features such as pergolas and fountains were removed, and garden and path edging were replaced by bluestone and concrete curbing. At this time the gardens began to change in style to an open, informal garden. The gardens were reduced in size in the 1960s and 70s to accommodate an expanded nursery and new Council depot. When these closed in the late 1990s, the gardens regained the lost land. 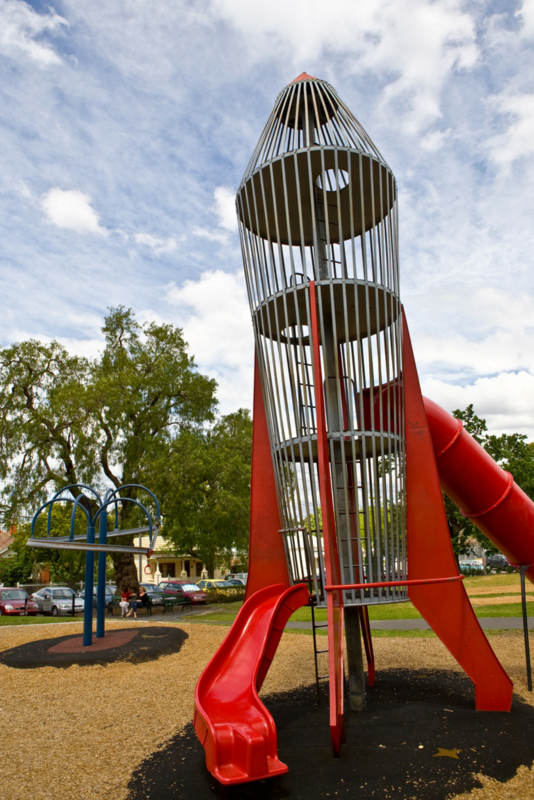 Local children all know about the very popular ‘rocket’ playground area, with a huge rocket for climbing and a super long slide. The park and its rotunda are available for hire for weddings, christenings and other events.